The Blue Pig Tavern in Cape May's Congress Hall. The end of 2018 is near, and there's a decent chance that you, like many other Americans, have failed to use up all those precious paid time off days you were allotted. Lack of vacation in the U.S. is a real thing, with a recent study from Expedia reporting that the country's workforce is currently at a five-year high when it comes to what it terms "vacation deprivation." According to Expedia, the average U.S. worker who is granted 14 vacation days a year takes an average of just 10 of those days. Many surveyed cited budget limitations, or that they were saving up for a bigger trip, while about 13 percent said they felt guilty for requesting time off. Forty percent said they had to cancel a vacation because of work. As a shameless taker of PTO days and an anxiously meticulous planner of trips, I am here to tell you: DO NOT LET THE PTO GUILT HAPPEN TO YOU. If you find yourself with a collection of days off and nothing to do with them, consider a day trip out of Philly that leaves no time off left behind. From charmingly festive small towns to other bustling metropolises, check out five different day trips you can take when you have some last-minute vacation time to burn. 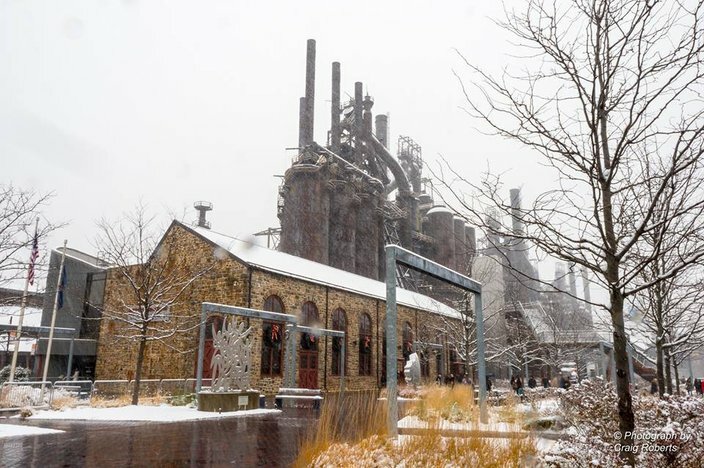 Bethlehem's SteelStacks hosts live music, film screenings, and the massive holiday Christkindlmarkt. 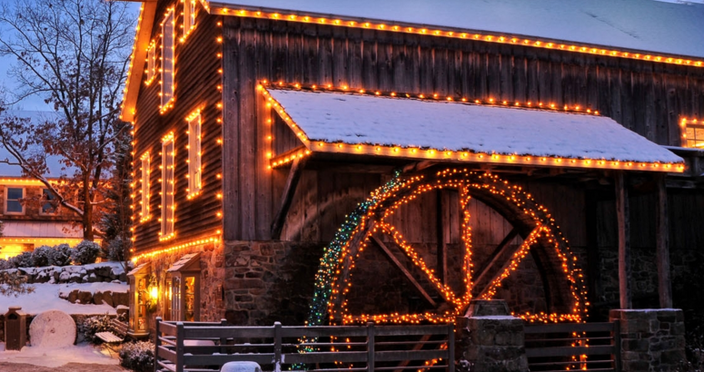 The drive out of Philadelphia and into the scenic Lehigh Valley takes just a bit more than an hour and can instantly transport you to the small enclave of Bethlehem, Pa., a town that feels like the idyllic setting of a Hallmark Christmas movie. Start your day with brunch at Roasted, which opens daily at 7 a.m. and can accommodate your hearty breakfast needs no matter what day you use your PTO -- try the peanut butter and Oreo French toast if you're so inclined. RELATED: Of course a Lehigh Valley bar created a boozy Snow Camel drink | Investigation: WTF is a 'Lehigh Valley cheesesteak'? From there, walk off breakfast and head to Christkindlmarkt, the biggest attraction at the "Christmas City," where more than 150 artisans from around the country sell their goods, alongside live ice carving and glassblowing demonstrations, in the beautiful SteelStacks space now through Dec. 23. Speaking glassblowing, you can also try your hand at the craft over at Bethlehem's Banana Factory. If you're not in the mood for a holiday market, drive instead to neighboring Easton, Pa., where the downtown area is clustered with eclectic vintage-inspired shops. 2nd Base Vintage, which is lined with hard-to-find basketball jerseys, Air Jordans, and other '80s and '90s nostalgia, is a must-see. Easton is also a great destination for dinner in Lehigh Valley, with OAK serving upscale steak and seafood, or try Easton's more casual Two Rivers Brewing Company, which serves a full lunch and dinner menu. 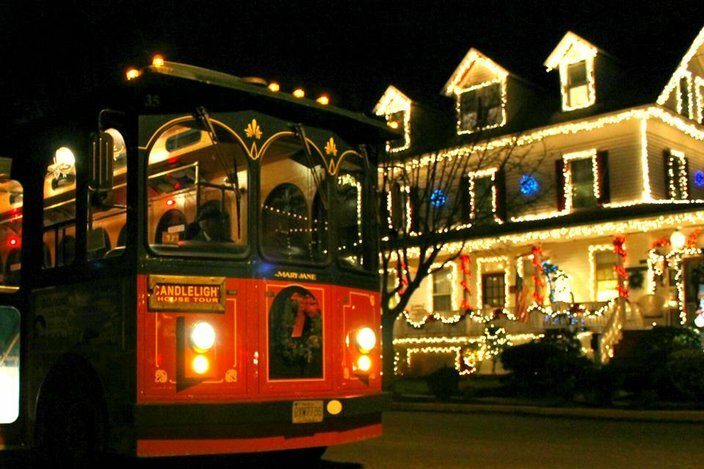 Cape May's historic downtown is transformed to Dickens Village for the holidays, with daily tours available. 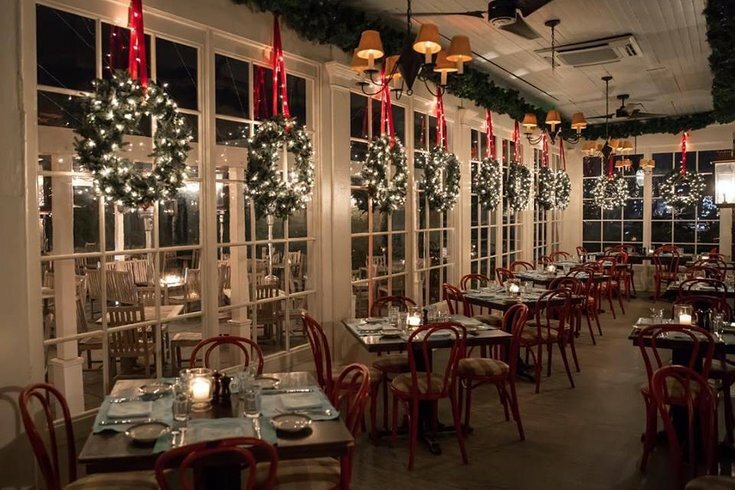 Cape May is a beloved summertime destination for many Philadelphians, but it can be just as charming -- sometimes even more so -- in December. While taking a dip in the ocean is not at all advised, strolling through the historic downtown area, taking in the mass amounts of twinkly lights, and knowing just where to eat make for a great way to spend a work break. Start off the day with breakfast at The Mad Batter, which opens at 8 a.m. daily and serves some of the area's most craved pancakes. Stroll through the town and you'll see the historic buildings transformed to imitate Dickens Village for the holidays, plus a ton of holiday-themed tours to choose from throughout the season. Head to Congress Hall, where Winter Wonderland 2018 is in full swing on the Grand Lawn. Artisan and food vendors will be selling their goods Thursdays through Sundays now until Dec. 31. Throughout December Congress Hall is also offering meal-and-a-show specials for David Sedaris' "The Santaland Diaries," so you might be able to catch the comedy and enjoy a meal at The Blue Pig Tavern for a discounted rate. Cape May is home to a ton of burgeoning wineries, and to Cape May Brewery, with tours available through the winter. Every day in December, Cape May Winery also offers tap room flights and traditional wine tastings. Plus, happy hour starts at Willow Creek Farm & Winery daily at 3 p.m.
Peddler's Village hosts an annual outdoor holiday light display. The trip to and from Bucks County and Philadelphia is so simple for a day trip, thousands of people do it every single day just to commute. For your purposes as a guiltless taker of paid time off, the journey should have less anxiety. Head to Peddler's Village, where the Golden Plough Inn is running a deal through New Year's that gets you a discounted room and dining rate for breakfast at the Buttonwood Grill (open daily at 7 a.m.), or stay for lunch and try the signature Buttonwood burger. After lunch, you're not far from Chaddsford Winery at Peddlers Village, where you can try some tastings and also do some holiday shopping for the wino in your life (or yourself). Stay nearby and take in the ultra-festive sights, including the ongoing Gingerbread competition and the dizzyingly ornate display of lights, while perusing the area's galleries and shops. If you're ready for a change of scenery, hop in the car for a 10 minute drive to New Hope, the rivertown opposite Lambertville, New Jersey where there is no shortage of cute shops, cozy restaurants, or small town ambiance. Catch a show at Bucks County Playhouse and sample beers at Triumph Brewing before dinner by the fire at The Salt House or a vegan feast at Sprig & Vine. The MoMa PS1 in Long Island City, Queens, New York. If you're looking for a busier metropolis over small-town charm, have you heard that New York City is only a couple hours away from Philly? If you're up for braving the holiday crowds and might prefer traveling by train or bus over driving, a day trip to NYC might be the perfect use of your extra day off. For something a little different than the usual December attractions, though, why not take a trip to Long Island City and see what the Queens neighborhood has to offer before Amazon moves its big ol' HQ2 to town. Birch Coffee is a perfect way to start your day there, with cold brew so good you may opt for the iced beverage even in the freezing winter. 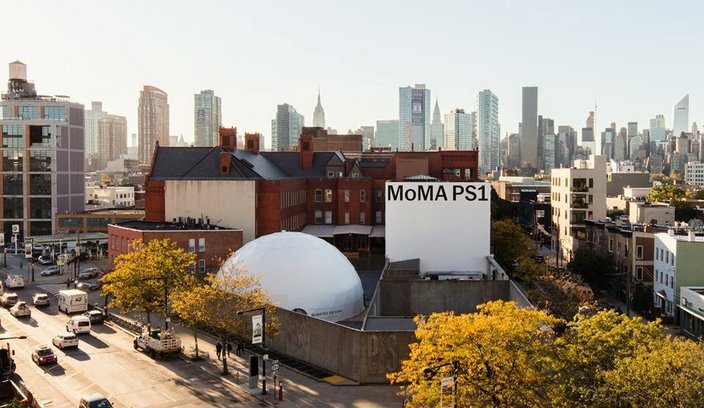 Once you're caffeinated, walk over to MoMA PS1, the sister concept of Midtown Manhattan's Museum of Modern Art that accounts for one of the largest collections of contemporary art in the world. The one thing you have to see there is the site-specific "Meeting" exhibit by James Turrells -- just make sure it's not raining that day, because the exhibit is weather contingent. The exhibit plays with the viewers' light perception in a trippy way -- you can hear all about it on Abbi Jacobson's "A Piece of Work" podcast. After getting high on light, you may want to check out the Sculpture Center and then, feeling peckish (or at least in need of a drink) from all that modern art, head to LIC Market, which has an often updated collection wine, beer, and cider. Happy hour starts at 3:30 and dinner -- which has a new menu every night -- starts at 6 p.m. If you want some after-dinner libations, try Dutch Kills for craft cocktails in a speakeasy setting. 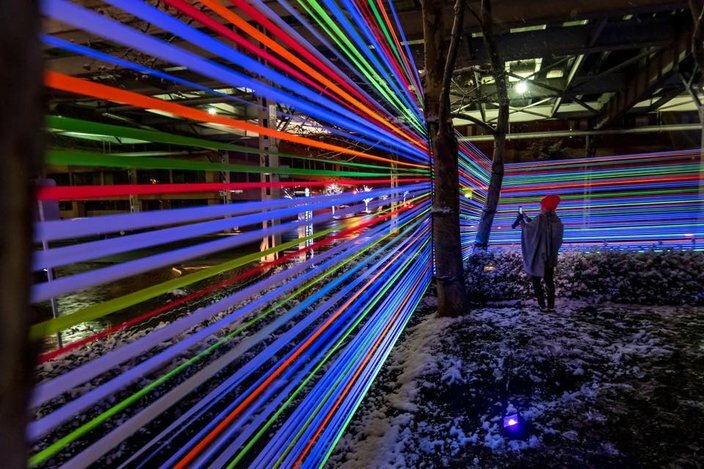 A free public display of art installations is in Georgetown now through early 2019. For a slightly longer journey out of Philly to another busy city, head south to D.C. to explore Georgetown's main drag on M Street and take your pick of the dozens of FREE museums all over town. Like Philly, D.C. is a very walkable city -- so get your comfy shoes on and get ready, starting with breakfast at the Diner in Adams Morgan, one-time hangout of Dave Chapelle and Jerry Seinfeld, where breakfast and brunch is available 24 hours a day. From Adams Morgan go south to the Dupont neighborhood and stop in Kramersbooks & Afterwords, where you can also grab a coffee (or a beer -- hey, it's your vacation) while scanning the indie bookstore's shelves. From there, you keep walking, this time over to Georgetown where you can grab a cupcake at Baked & Wired before walking along the waterfront to the main drag of Independence Mall. Take in the monuments and your pick of the mostly free Smithsonian museums that outline the Mall. Once you're done on the Mall, you're not far from the White House and, this month, the National Christmas Tree and other decorations on display for the season. Return to Georgetown and visit the outdoor Glow light exhibit, a curated collection of public light art installations, before enjoying tapas at M Street's Bodega or falafel from Falafel Inc.
End the night singing along at the Georgetown Piano Bar, which has live music every night and piano duels during the weekend.